A pool pump is an integral component in keeping swimming water clean for those who come into contact with it. 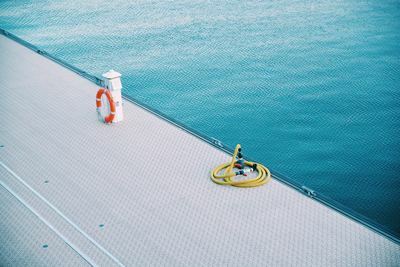 As there are many different types of pumps available, it is important that you understand how to choose a pool pump that best meets your needs. According to Clean a Pool, a swimming pool supply store who has been servicing across Brisbane and Sunshine Coast, here is a guide to finding the right size pool pump for your swimming pool. Do You Have an Above-Ground or In-Ground Pool? The type of pump that you choose will depend partially on the type of pool that you have. If you have an above-ground pool, you will need a pump that can be mounted from the top while an in-ground pool needs a pump that can be mounted from the side. Furthermore, if you need a pump that has a sand filter on it, the pump will need to be mounted from the top as well. Ideally, the pool pump that you choose will be able to circulate all of the water in your pool within eight hours. Therefore, you will need to first determine how many gallons of water are in the pool and divide that number by eight. Is it important to note that the pumps themselves have labels that showcase how many gallons can be processed per minute. Therefore, it will be necessary to further divide that number by 60 to determine the proper size pump for your pool. For instance, if you find that you have 100 gallons of water in your pool, you would divide that by eight to get 12.5. From there, you would divide 12.5 by 60 to get .2. Therefore, your pump would need to process about a fifth of a gallon per minute to effectively meet your needs. How Do I Know How Many Gallons My Pool Has? If your pool is a perfect square or circle, simply measure its length, width and depth. After rounding to the nearest inch, multiply those figures by 7.5 to get an estimate of how much water the pool will need. 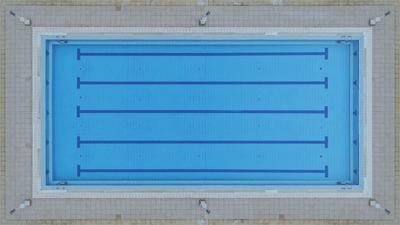 If the pool is irregularly shaped, you may need to take measurements at multiple locations to determine the average length, width and depth. It may also be possible to contact the company that manufactured the pool to find out how many gallons it holds or is capable of holding. There are a variety of online tools that you can use as well to help you calculate a pool's capacity. These tools are generally effective at helping a pool owner whether that person is good at math or not. What Speed Should a Pool Pump Operate At? There are many options available when it comes to what speed your pool pump will operate at. In most cases, a pump will come with a single speed setting. However, it may be possible to buy a variable speed pool pump if you want the flexibility that comes with having low, medium and high settings. As a general rule, using the higher settings will mean increased power usage. Using more power may mean that the motors have to work harder to help the pump work to its fullest potential. This may mean that the pump may have a shorter useful life compared to those that are set at low or medium. It is also important to point out that using higher power settings may also result in using more electricity, which can lead to higher electric bills. In many cases, there may not be an exorbitant difference in power bills between using the low setting and using the high. However, it may be something worth considering for those who have strict household energy budgets. Depending on the type of pump that you purchase, it may be possible to program its speed to balance efficiency and energy use. A properly programmed variable speed pump may be able to cut down on energy usage by 75 percent. Variable speed pumps can be programmed because they don't need electricity to spin, and they also tend to be quieter, which means that they can operate at any time of the day or night. If you are in the market for a pool pump, you have several different methods of acquiring one. First, it may be possible to talk directly with the manufacturer of a pump that you are interested in purchasing. This may be done by going to that company's website or making a phone call. If you choose to go to a company's website, it may be possible to engage in an online chat to learn more about pricing, financing options and features available on a given pump. In some cases, there may be an authorised dealer store or showroom that you can visit. This may be ideal because showrooms may have pumps from a variety of different brands, which may make it easier to comparison shop before deciding which pump is best for your needs. It may also be possible to see a pump in action before you decide to buy it for your pool. Finding the right pool pump can reduce energy usage, which can help keep electric costs down while cleaning water efficiently. 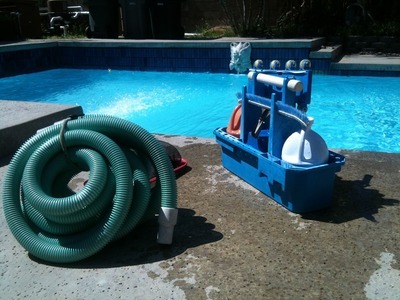 If you know how to calculate the size your pool, you know how to size a pool pump that best meets your needs as well. From there, the only question is what brand you will choose and at what speed it will operate.